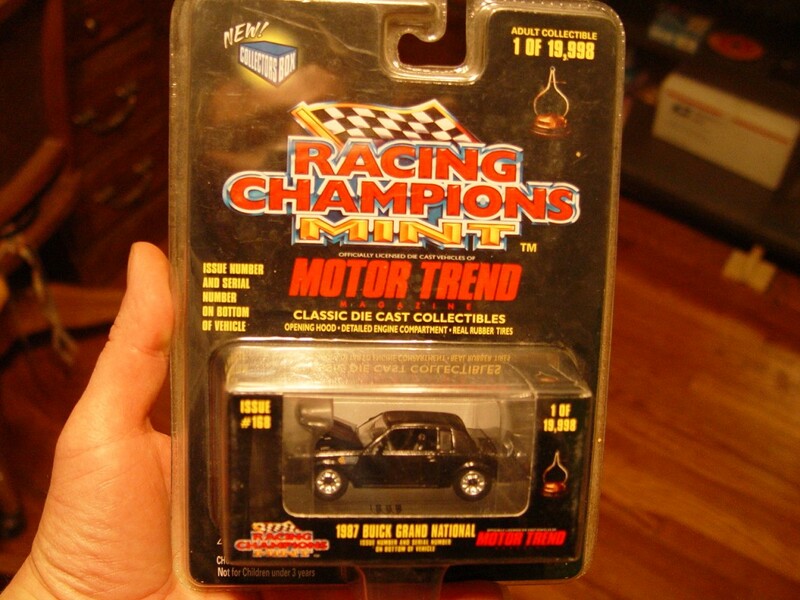 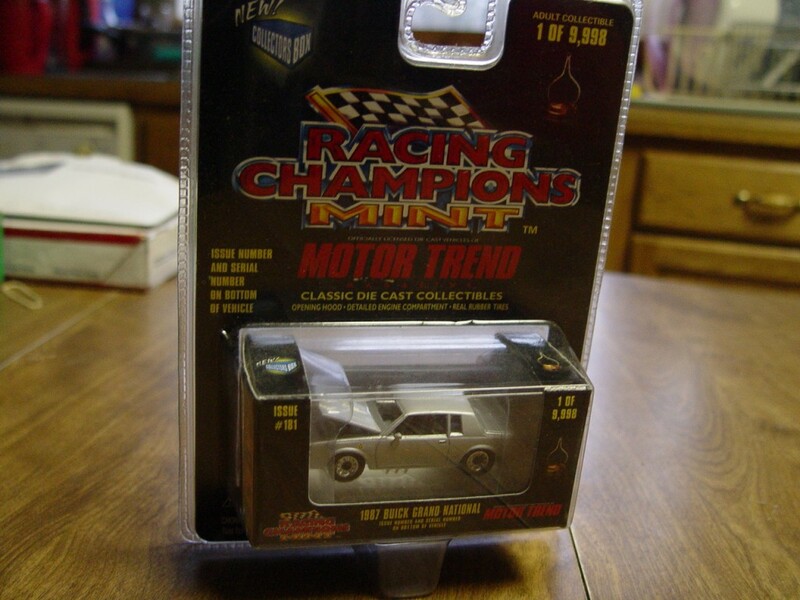 Racing Champions released these Buick Grand National toy cars in a collectors box. 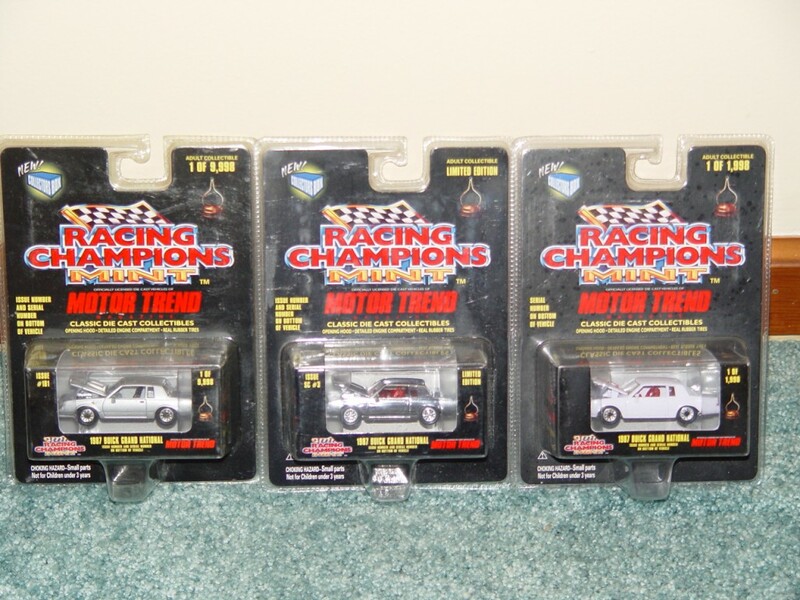 You could choose from black (1 of 19,998), silver (1 of 9998), chrome (limited edition), or a white target store car (1 of 1998, target logo on hood & only available at the target stores). 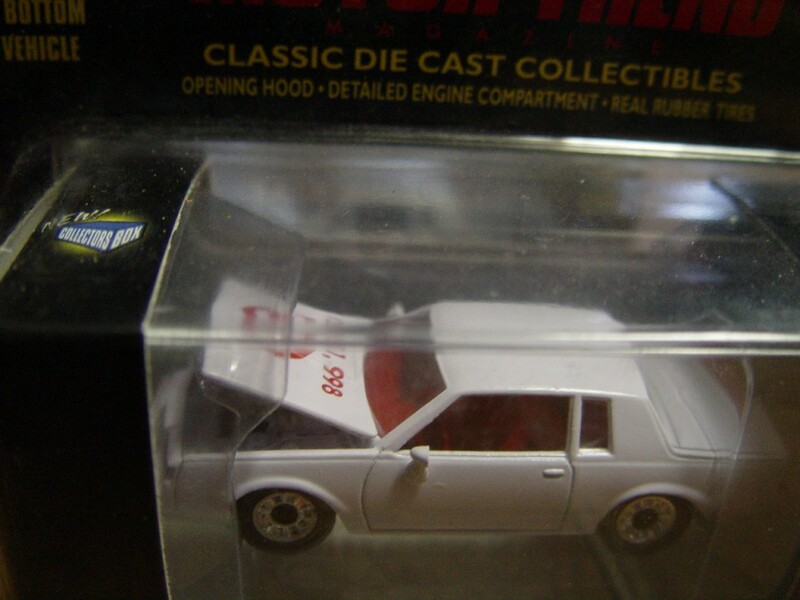 Featuring opening hoods, detailed engine compartments, and real rubber tires! 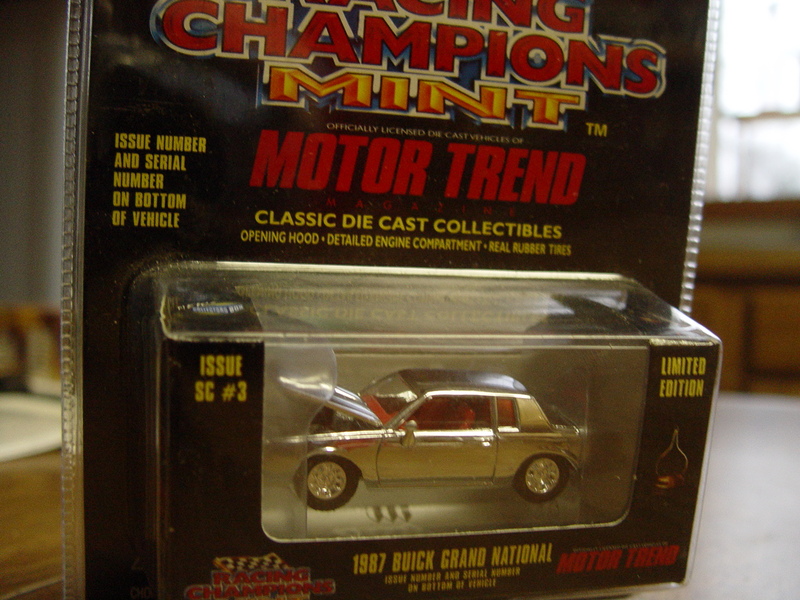 The white car as well as the chrome car, had a red interior! 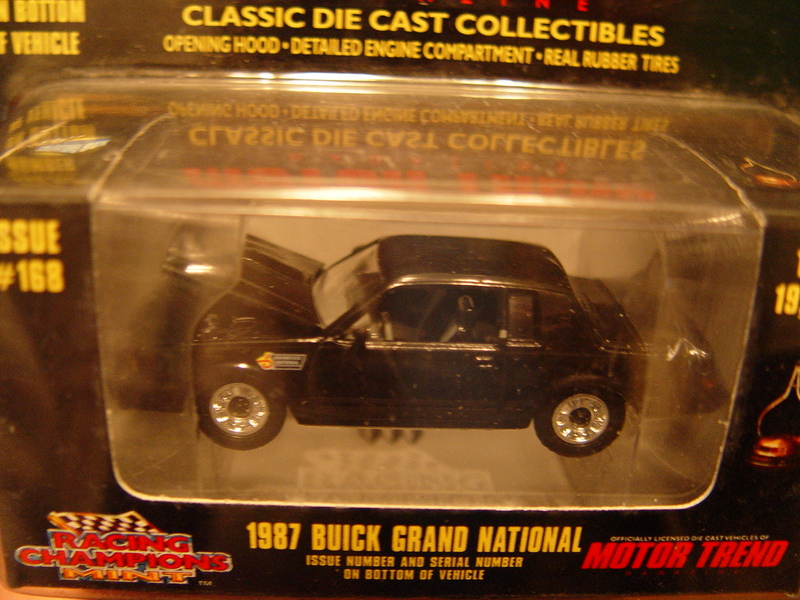 These die cast cars make a fine addition to all the rest you have!